Home » News » Oliver Double at HOYS: Robert Oliver is named the 70th Anniversary HOYS Equestrian of the Year while Claire brings home the Middleweight Hunter Championship! The Equestrian of the Year trophy was introduced to Horse of the Year Show in 2003 and is awarded to the team or the individual who have attained a unique achievement in the equestrian world. This may involve an unsurpassed performance, a string of victories or in this case, in recognition of a lifetime of achievement. 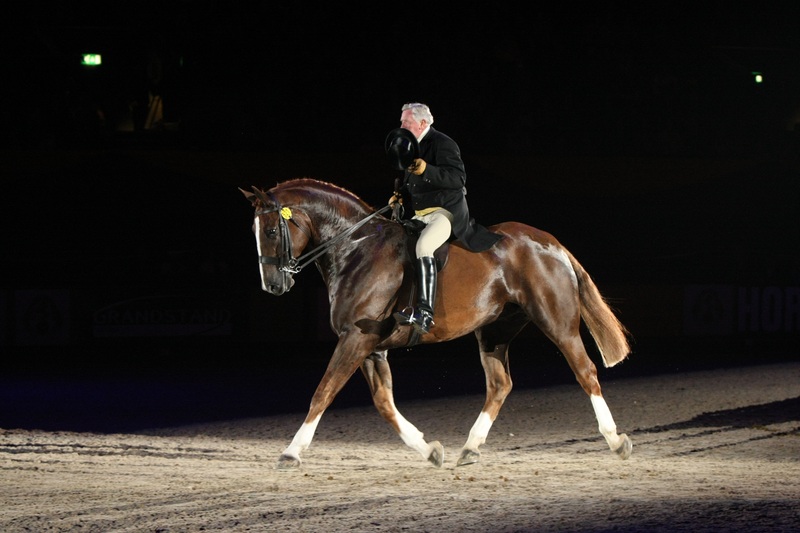 Robert Oliver has dedicated his whole life to the equestrian industry, in particular through showing and judging. As a schoolboy, Robert used to visit yards with his uncle, a leading farrier. His first introduction to showing came through Pat and Vivien Eckley who owned the famous Cusop show ponies. 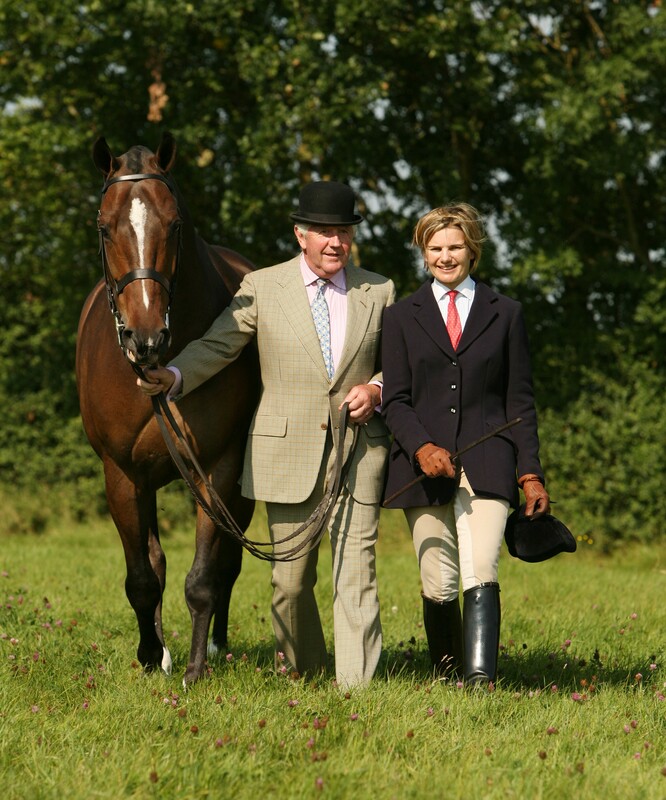 In 1968, he set up his own yard near Ross-on-Wye and produced his first HOYS Champion, the small hunter Lord Sorcerer; this was just the start of what was to become an incredibly accomplished career. 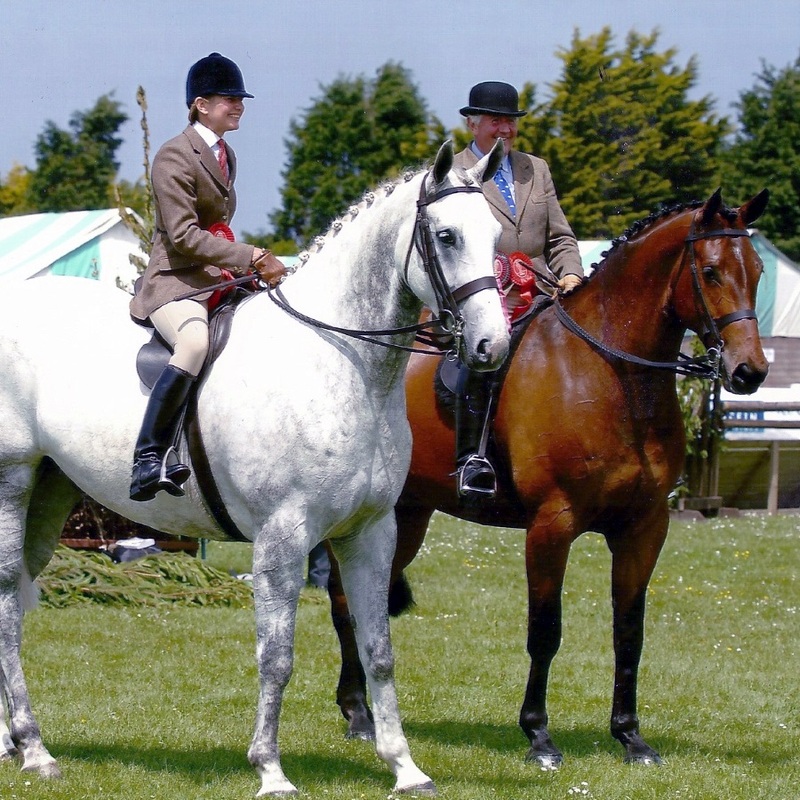 Royal Cornwall Show 2012: Claire on Masterful, Hunter Champion, Robert on Fieldmaster, HW Hunter winner, both horses owned by Jethro Bloodstock. From the mid-1970s, Robert’s career went into overdrive; he produced Champion Small Hunters, Working Hunters, Cobs, Hacks and Show Hunters. In 1977, he broke all HOYS records by winning the Cob, Small Hunter and Hack titles and taking reserve in the Hunter Championship. He won the Cob Championship six times with Super Ted between 1987 and 1994 and by 2011, Robert had won nine Show Hunter Championships, twelve Cob Championships, two Riding Horse Championships, five Small Hunter Championships and six Hack Championships. 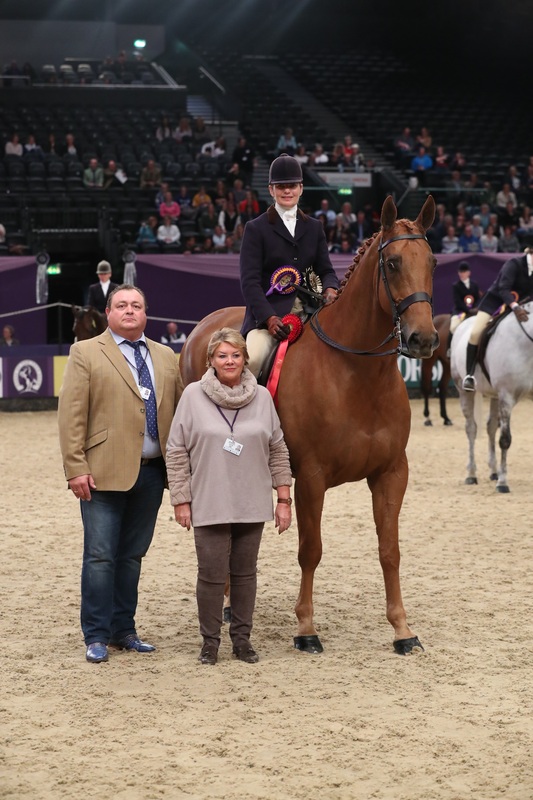 Robert's wife, Claire, rode Treganick, owned by Sue Granger, to take the Champion Middleweight Hunter of the Year on Friday at HOYS. 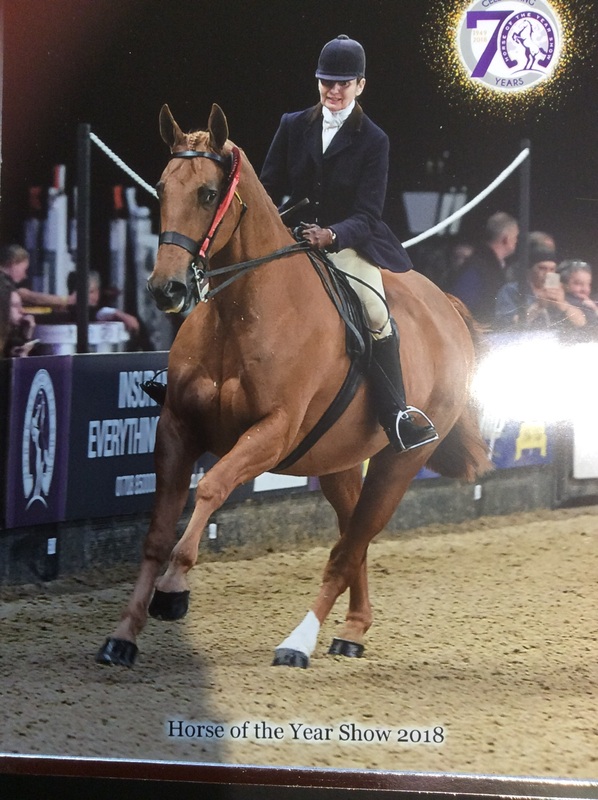 Claire has been involved with HOYS since 1985, when she was invited to the Parade of Champions following her individual and team gold medal wins at the Young Riders European Championships that year in France. Now the riding part of the incomparible Team Oliver show producers, she has yet another championship to her name. Claire is a huge fan of Pikeur breeches, saying that they fit better; are more comfortable; and last longer than anything else. 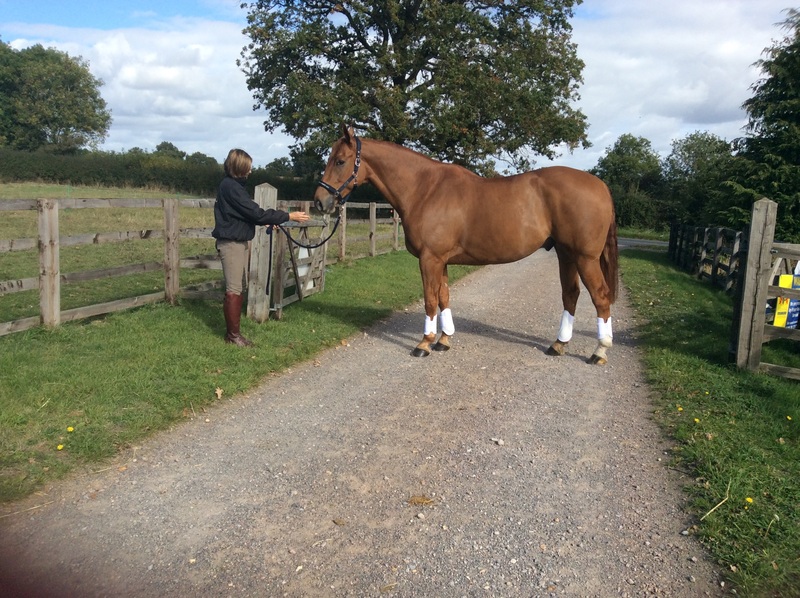 Team Oliver are pretty keen on Eskadron too, and in the image below is Middleweight Hunter of the Year, Treganick, modelling his Eskadron headcollar and boots at home before his big day at HOYS last week. 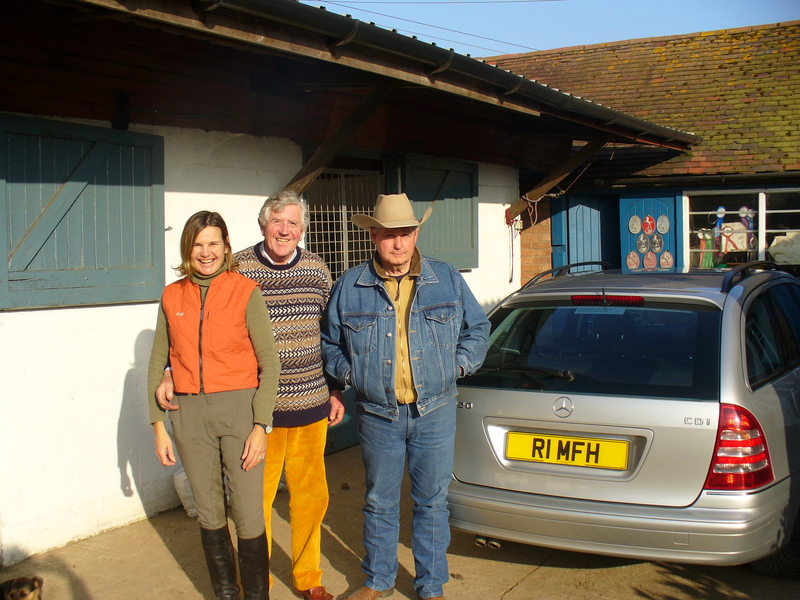 Claire and Robert Oliver are also very enthusiastic about Myler Bits and have developed a great friendship with Dale Myler over the years he has been visiting the UK.